In September, students started the ‘UEF go fossil free’ campaign demanding the university to disclose their investment details, and to replace their current investments in fossil fuel with investments in renewable energy within the next five years. “Our goal is to inform the public of the fact that academic institutions are funding the fossil fuel industry. 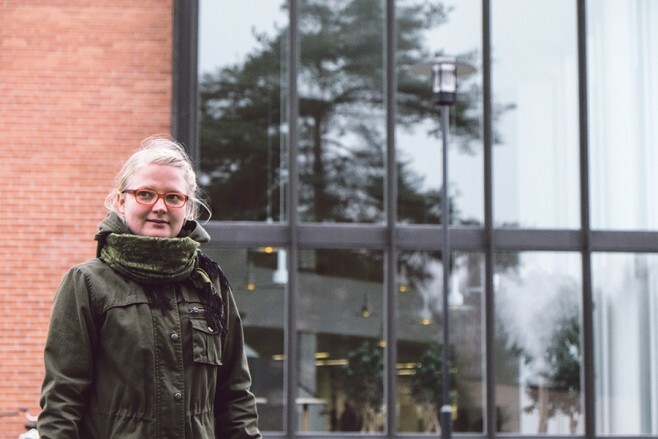 The university could do their part in the shift towards fossil free energy by reorganising their investments,” said Juudit Hurtig, an active participant in the campaign. The active participants in the ‘UEF go fossil free’ campaign collect signatures both on foot and on Facebook. At the moment, the petition has been signed by over 300 people. Hurtig said that the campaign is part of a global divestment movement, which tries to fight the fossil fuel industries. Divestment itself means removal of investment assets for ethical, financial or political reasons. The objective of the ‘UEF go fossil free’ campaign is to support and strengthen UEF’s strategy, which states that the university strives to rise to the challenge of creating a sustainable future even with limited resources. According to Tuomo Meriläinen, the Director of Administration, the university meets the requirements of the campaign sufficiently, as the university operates in accordance with the six Principles for Responsible Investment (RPI) set by the UN, however, divestment and the investment principles of the UN differ in their methods. The Principles are voluntary and they aspire to emphasise ethical values in investing, whereas the ‘UEF go fossil free’ campaign demands the university to remove its investment assets from the listed companies involved in producing fossil fuel. The organisers of the campaign have their work cut out if they aim to improve the transparency of the university’s investment policies. The first demand of the petition is to force UEF to disclose their investment assets. Meriläinen said that the investments are confidential.